Discriminatory Judge with Bias Against Marijuana Orders the Owner of a Marijuana Social Media Mobile App to Have His Children Removed from Their Home and Turned Over to Mother with Documented Substance Abuse Issues and a Questionable Living Environment. Salem, MA- Probate and Family Court Justice Peter Digangi has ruled that the two young children of Scott Bettano, the CEO of Social High- A mobile app for cannabis enthusiasts, be abruptly removed from their stable home due to his position operating a cutting edge social media tech experience for consumers of marijuana. His popular application allows individuals to communicate and share their experiences with like-minded individuals in a safe space for expression and the exercising of their first amendment rights to freedom of speech. Because of the subject matter in which Mr. Betanno’s clients communicate on his app is primarily marijuana related, the judge has decided that he should lose custody of his children. In an unexplainable turn of events Justice Digiani has ruled instead that custody be returned to their mother against the better judgement of Laura Craig-Bray, Ph.D., a specialist appointed to facilitate the reunification of Lauren Belanger with her minor children, Manii and Dasanii. Dr. Craig-Bray made a recommendation that due to concerns with Ms. Belanger’s behavior throughout the reunification process that only supervised visits with their mother should be granted. A letter documenting her irresponsible behaviors, poor judgement, and angry and emotional responses to issues signed by Dr. Craig-Bray is included as an exhibit to this release. In September of 2014, Judge Peter Digangi granted temporary sole physical custody of the children to their father Scott Bettano. Amidst concerns of substance abuse and questions of mental stability surrounding their mother, the judge ordered Ms. Belanger be granted supervised visitation only. After a full year and a half without executing visitation, the court appointed specialist Dr. Craig-Braya The specialist was court ordered to observe and report to the courts. Despite the report given by the specialist, Justce Peter Digangi has decided the appropriate course of action is to uproot the children from their schools and home, allowing their mother to move them two (2) hours away from their family. They will reside in a house that is owned by Marcus Hytonen who is Ms. Belanger’s fiancé (an unrelated man that the children have no current relationship with). 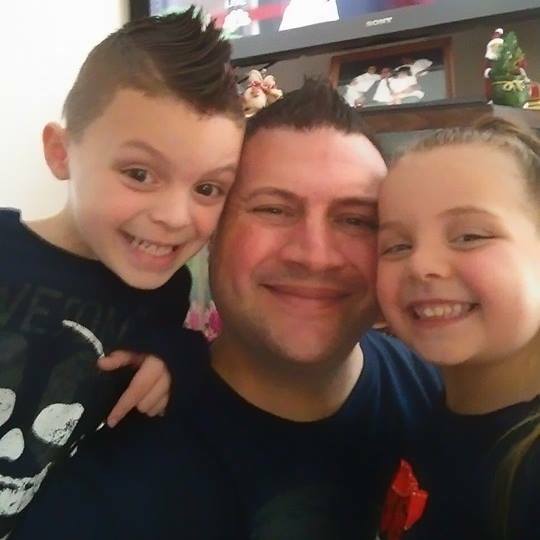 Scott Bettano is worried about the welfare of his children due to Mr. Hytonen being recently released from prison in the summer of 2015 after serving four (4) years for trafficking in cocaine. Throughout the trial, Justice Digangi expressed his concerns over Mr. Bettano’s activism in the cannabis reform community and his work to normalize cannabis in our society. Due to his role as founder and CEO of a mobile app focused on cannabis, and his advocacy for both medical and adult use legalization of marijuana, Scott is being discriminated against, and his children are being used as pawns to express the political and social beliefs of the Justice. It is no coincidence that this abrupt change in the Justice’s ruling comes just days after the incredibly successful Boston Freedom Rally, of which Social High was a major sponsor advocating for the passage of Question 4 this November that would legalize cannabis for adults over 21 in the Commonwealth. It is of great concern when families are torn apart because of an individual’s intolerance with the growing acceptance of cannabis in our society. This case cuts to the core of major issues faced by parents who choose to support cannabis reform and an end to the disastrous policies of cannabis prohibition that have decimated families for decades.